Drawing trees as a child, mine were all two dimensional green ball on a brown stick. With time I added little orange circles on the green tuft. Inspired by my grandparents home in the moshav, I also specialized in green triangles on shorter, slightly fatter, brown sticks. My family looked at my creations and concluded that my brother was “the artistic one”, while I was “more social”. Talking has always been a strength, and drawing, I dutifully dropped. About twenty years later, considering a career in landscape architecture, I was forced to stop and really look at trees again. Turns out, they are not all circles and triangles. And they are definitely not all the same – one and only – green crayon in my pencil-box, but range from the assortment of purples-burgundies- orange – yellow in the fall, to 50 million shades of green in the spring, from bright yellow-chartreuse to silvery and dark, almost black-green. I go into the school yard, or sit near my computer on that hill, and notice how they change, hour by hour, with the light, the sun, the rain, and the spring springing all around. People have always had special relationship with trees. The Torah tells us “ki ha’adam etz hasadeh” – for a (hu)man is like a tree of the field (Deuteronomy 20:19). Originally this was actually the opposite: the idea was that trees are not like people, for they cannot run away and therefore, we should not wage war against them, especially fruit trees. But over the centuries, the verse took on a new meaning. The Talmud in Pirkei Avot (3:17) compares people to trees – those with good deeds and great learning are like those with extensive branches and deep roots – and much later Kabalistic and Chasidic teachings embellished on that. 16th century Rabbi Judah Loew known as the Maharal of Prague writes that man’s “branches are in heaven, for the head, which is the root of a man, faces upwards…” (Sefer Gur Aryeh). The idea was adapted into a modern Israeli poem by Nathan Zach. This week’s reading focuses on the High Priest, his duties and his garments, which is all full of symbolism. It starts with an instruction to “bring pure olive oil beaten for the light, to cause a lamp to burn continually”. And of course, the question is, why olive oil? One beautiful commentary connects this with another interesting fact about this week’s reading: it is the only parasha when Moses is alive but not mentioned. The traditional explanation is that during the incident of the Golden Calf, when Moses was arguing for the sake of his people, he said to G-d, “please forgive them, and if not, erase me from Your book” (Exodus 32:32). This is one of many examples of Moses’ humility, and the Netivot Shalom (Chasidic rabbi and commentator -1911-2000) connects it to olive oil. 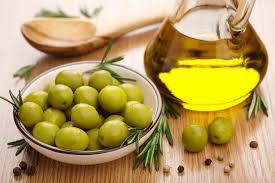 Olive oil can be gotten only when the olives themselves are crushed. Aside from having a fruit, and aside from being able to produce a liquid from the fruit (as is the case with other juices), the unique quality of the olive oil is that it gives light, which in turn can light other lights. He suggests that there is a part of us that lights up only after a lot of work, trials and tribulations. Most of us don’t necessarily enjoy or welcome hardship, and in “real time”, I don’t appreciate when people meet another person’s pain with “it’s all for the best”. Our role is to try and be compassionate but at the same time, in retrospect we often realize that in order to learn certain things, become certain people, we had to encounter those challenges that we have had; we had to have certain parts of us “crushed”. In spite of the immense pain in the process, this is exactly what sometimes helps our light shine. Enjoy the beautiful spring all around and Shabbat Shalom.